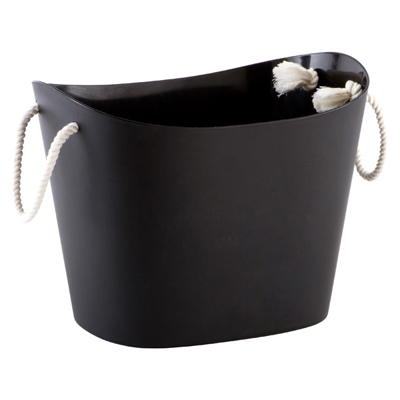 With its classic lines and rope handles, the Large Black Balcolore Tub is perfect for corralling everything from toys in a playroom to shoes in a mudroom. And can’t you just imagine how cute it would be holding drinks for your next backyard barbeque? $24.99. Buy here.